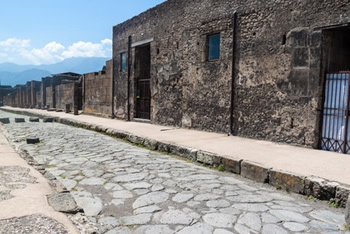 Our English speaking driver will meet you at the gang way of the ship in the port of Naples at 7.30 – 8 AM, with the vehicle that you have requested to begin the drive to Pompei and Amalfi coast. 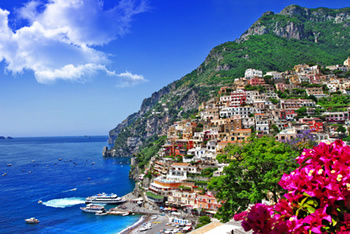 We will continue on the Amalfi Coast, which will give us a spectacular view of the sea, descending the winding one-way road of Positano, bypassing many local restaurants, we get to the heart of the town – the busy central Piazza dei Mulini that is connected to a narrow downhill path which leads to the seafront. All streets leading to the waterfront are for pedestrians only so we must drop you off at the Piazza dei Mulini. On the way to the waterfront you can see the cathedral, shops selling ceramics, lemons, shoes and "Positano fashion" clothing.